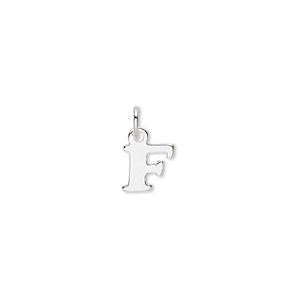 Charm, sterling silver, 9x7mm fancy block alphabet letter F. Sold individually. Item Number: H20-3881FD Have a question about this item? Versatile charms can be used for earring components, necklaces, charm bracelets and chains, shoe charms, zipper pulls or scrapbooking. All charms have a jumpring attached. 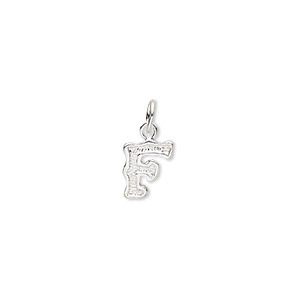 Charm, sterling silver, 7mm single-sided block alphabet letter F. Sold individually. Charm, sterling silver, 10x7mm Champagne cursive alphabet letter F. Sold individually. 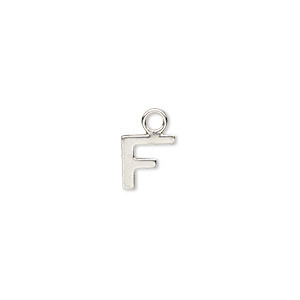 Charm, sterling silver, 8x8mm single-sided modern square alphabet letter F. Sold individually. 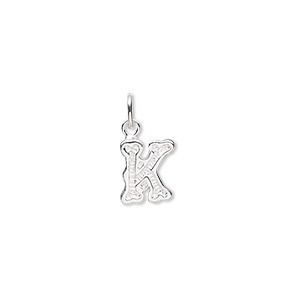 Charm, sterling silver, 9x7mm block alphabet letter K. Sold individually. Charm, sterling silver, 9x7mm block alphabet letter B. Sold individually. 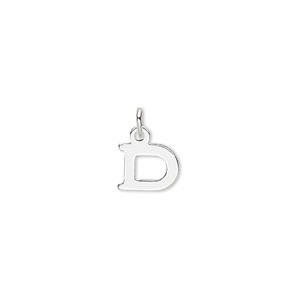 Charm, sterling silver, 9x7mm block alphabet letter D. Sold individually. 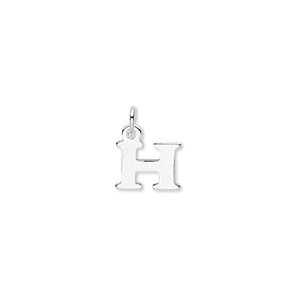 Charm, sterling silver, 9x7mm block alphabet letter H. Sold individually. 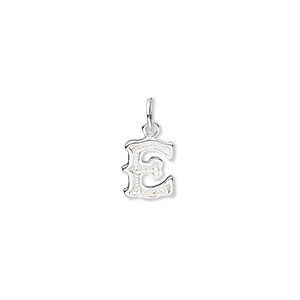 Charm, sterling silver, 9x7mm fancy block alphabet letter E. Sold individually. 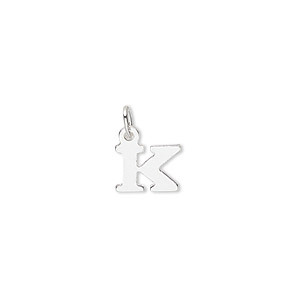 Charm, sterling silver, 9x7mm fancy block alphabet letter K. Sold individually. 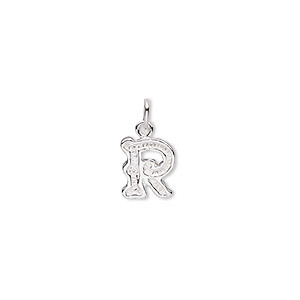 Charm, sterling silver, 9x7mm fancy block alphabet letter R. Sold individually.